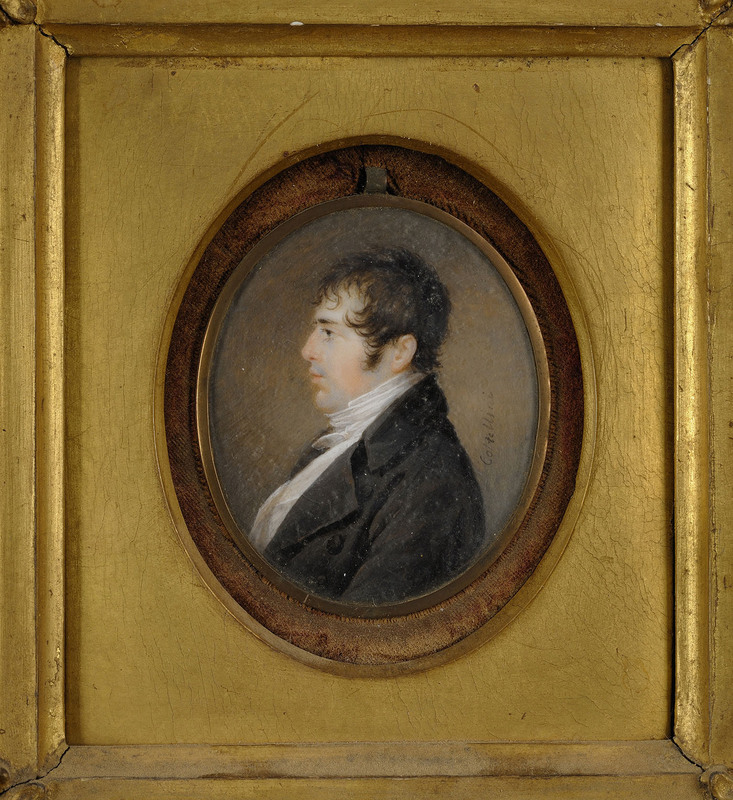 OOval profile portrait, watercolor on ivory, of Richard Bayley Seton, signed vertically right hand side behind subject's shoulder "Coltellini" (Constantina Coltellini, Naples, Italy, active circa 1819). 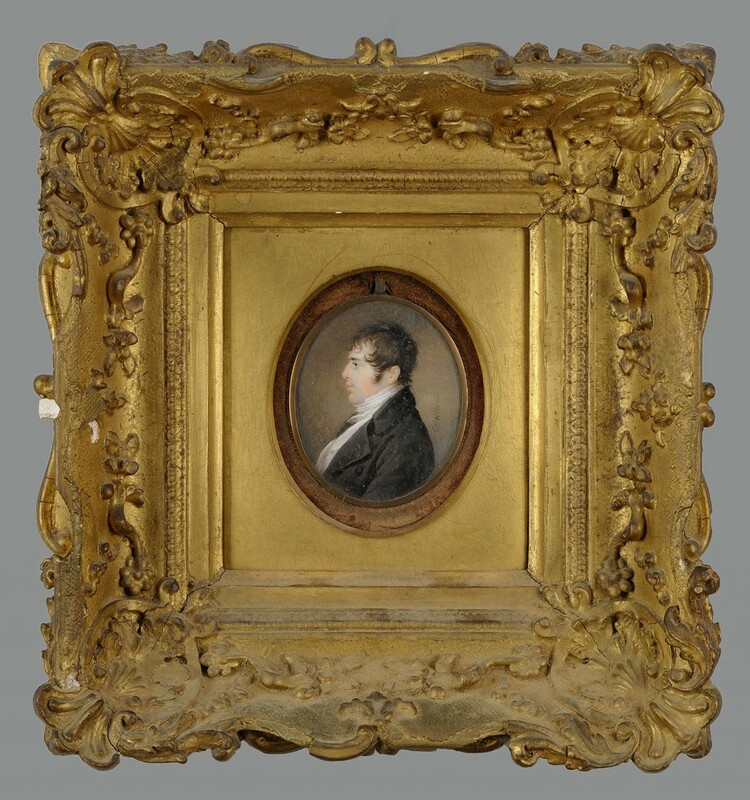 Portrait measures 2 3/4" H x 2 1/4" W. Overall – 9 1/4" H x 8 3/4" W. Richard Bayley Seton (1798-1823) was the son of William Magee Seton and Elizabeth Ann Bayley Seton, the first American-born Roman Catholic Saint. Richard joined the US Navy in 1822, was assigned to the USS Oswego, and died at sea off the coast of Liberia the following year at the age of 23. After the death of her husband, Elizabeth Seton established the first Catholic school in the nation, at Emmitsburg, Maryland, where she founded the first American congregation of Religious Sisters, the Sisters of Charity. Constantina Coltellini was a Neopolitan born artist who specialized in miniature portraits of prominent subjects including Americans. 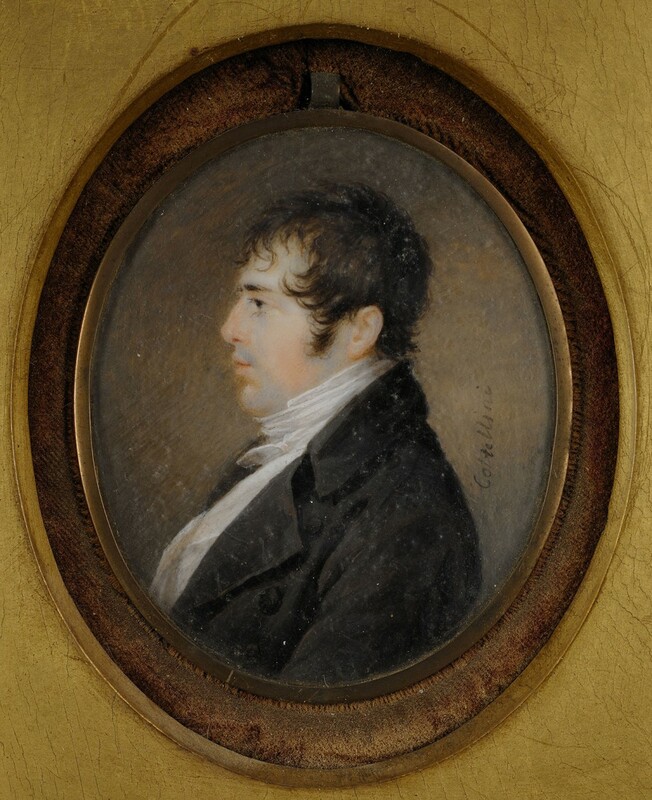 Coltellini's known subjects included Stephen Decatur and Tobias Lear. 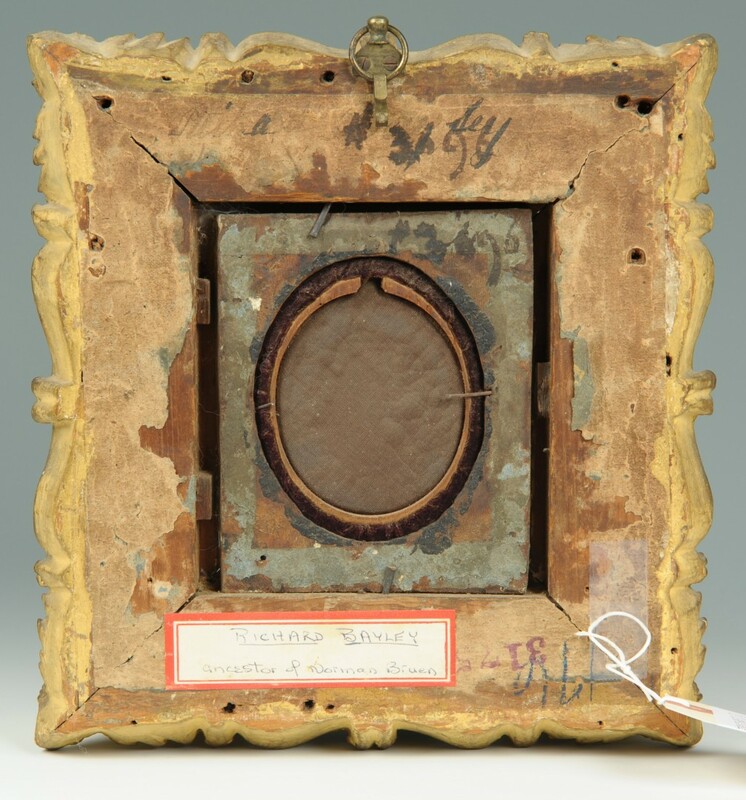 Housed in a molded giltwood frame. Provenance: Descended through the Bruen family of New York, descendents of Elizabeth Ann Bayley. Collection of the Rev. Henry M. Bruen, Jr. Condition: Portrait in overall very good condition. Some losses and repainting to frame.